In Dan Brown’s fifth instalment of his Robert Langdon series, the hero finds himself in Barcelona whilst searching for a cryptic password and evading an enemy, determined to kidnap him. As part of this thrilling story they mention Barcelona Supercomputing Centre several times and also draw attention to the beautiful Marenostrum supercomputer. 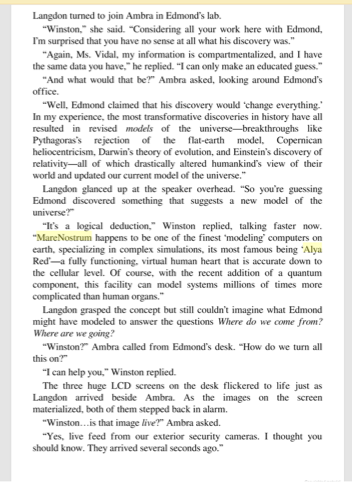 In the extract below they also mention the use of the Alya Red simulation of virtual hearts.